This animated cartoon series is based upon a best selling comic series among young people in Japan. The story itself is science fiction with a comic taste. 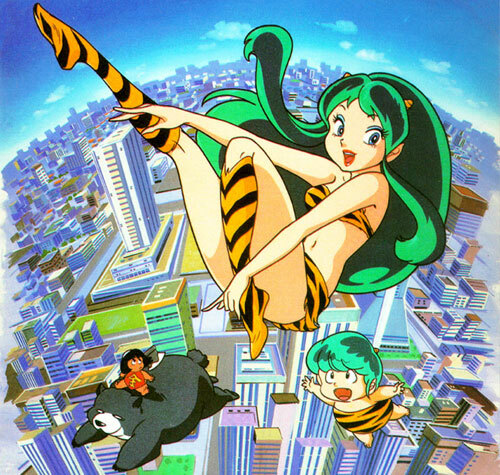 The story begins with Lamu, a cute invader girl from outer space, landing on this planet. Though she has little horns on her head, Lamu us a charming human looking girl who falls in love with a Japanese boy, Makoto Morohoshi. But Makoto already has a girlfriend, Shinobu, who is smart and very jealous. The triangle becomes more complicated when Lamu decides to stay in Makoto's house. To make the situation more complicated are people like Cherry, a strange priest, Cherry's daughter, Sakura, Ten, a cousin of Lamu, and Lamu's former finance, Rey. This is, as you may have noticed, a completely new type of television cartoon which may create an enormous sensation among your audiences.